Sweet yet mild and delicate in flavor. Golden Delicate is the purest form of Maple Syrup and is the lightest in color. It is excellent as a table syrup, in teas or as a topping for ice cream or yogurt. Compares well in color and flavor to the former Vermont Fancy Grade. 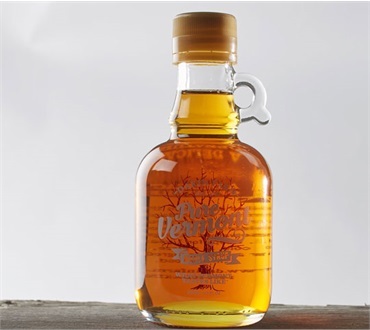 This syrup, item #897, is packed and shipped in our elegant glass jugs that make the perfect gift or a keepsake for yourself.